A land steeped in legend, Greece offers an enticing blend of sun, sea, mountains and ancient ruins. Athens, Delphi, Mycenae, Epidaurus and Olympia are just some of the legendary names which evoke the splendour of Ancient Greece. Not to be outdone, the Byzantine monasteries contain a wealth of treasures, from the gold-embellished mosaics of Óssios Loukás to the flamboyant frescoes of the Metéora. But modern-day Greece also has much to offer: a vibrant capital city, charming little towns lining a sun-drenched coast, and the Ionian Islands with their distinct Venetian flavour. 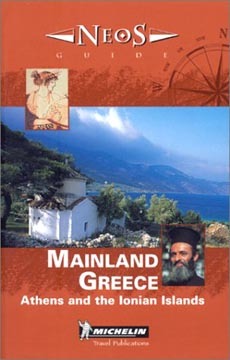 A great variety of places for you to explore following the itineraries and maps in this guide. Our wide range of hotel and restaurant recommendations will help you find the most suitable accommodation and track down the tavernas which serve the best "meze" before you head off to the beach at siesta time.